SEngine Precision Medicine, a spinoff of the Fred Hutchinson Cancer Research Center, has received a $3.1 million grant for the National Institutes of Health (NIH) to study its PARIS assay which can test hundreds of potential therapeutics at a time on living 3D cancer tumors grown directly from patients’ tissues. The grant will be spread among SEngine and its two research partners Fred Hutch and the Knight Cancer Institute at Oregon Health & Science University (OHSU), which will conduct studies to help commercialize the SEngine testing technology. The PARIS testing method employs robotics to allow SEngine to test more than a hundred drugs directly on a patients tumor tissue. According to information from the company, early results indicate the company can identify a targeted therapy for a patient 75% of the time. Currently, the test is most appropriate for difficult-to-treat cancers and for patients who have not responded to first-line treatments, note Grandori. A key element of the SEngine’s testing method is using a patient’s tissue sample to grow living cancer cells from the original tumor, then screen cancer drugs directly against these living cells. According to the information provided by the company, it operates the only Clinical Laboratory Improvement Amendments (CLIA) certification for a high throughput, high complexity test for solid tumors in the U.S. In instances where the sample provides enough tissue for testing, SEngine returns results in as little as one week. 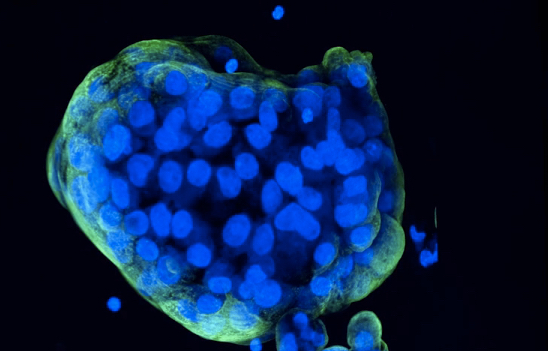 When it needs to grow more cancer cells—cancer organoids—from the tumor, results are typically returned within three weeks. “The SEngine test includes major innovations: The derivation of cancer organoids, the testing of the broadest collection of targeted drugs, and a strong statistical and bioinformatics component,” said Grandori in a company video describing the PARIS test. “By directly testing the drugs to find which drugs kill, and which don’t kill a particular cancer, SEngine PARIS test increases the likelihood of selecting the best treatment options. In addition to serving as a precision medicine diagnostic tool for oncologists, SEngine also provides its testing service to pharmaceutical companies for testing of their drug candidates. In addition, the company has validated and patented novel therapeutic targets that it contends DNA sequencing alone can not identify. It’s drug target discovery strategy “integrates the concept of ‘synthetic lethality’ to tackle ‘undruggable’ oncogenes and loss of tumor suppressor function.